Birds sing, the sun descends, shadows stretch, and the voices of more than 20 men resonate around a picturesque football stadium in the quaint city of Örebro, Sweden. Patrick Walker, PSC’s Director of Scandinavian Operations, emerges from the dugout, the studs of his boots sink into the crisp grass, and he shouts orders to the players of his newly-formed side, Scandinavian Football Club Örebro [SFC]. 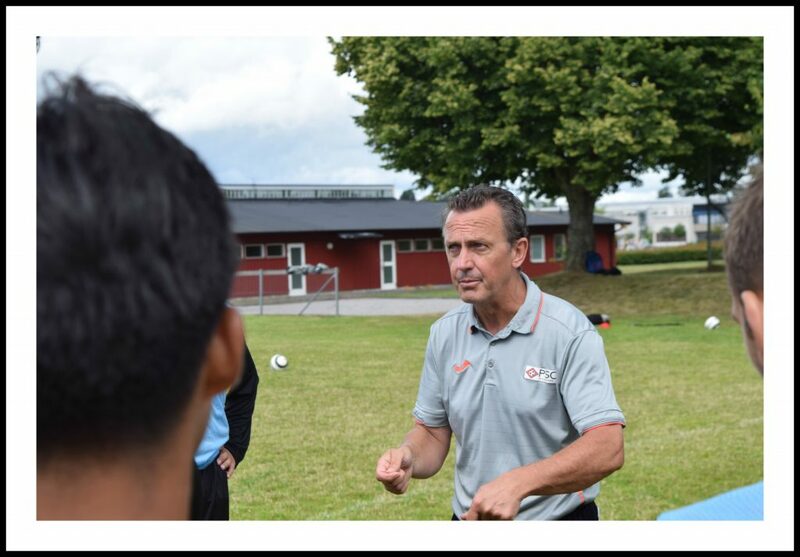 Walker, born in Carlow, Ireland, has coached at the highest professional level in Sweden and Norway for over 20 years, and boasts a professional playing career stretching 14 years. His extensive list of contacts in Scandinavia have helped pave the way for a number of PSC’s success stories in this part of the world. The 57-year-old ex-Gillingham defender has placed players from the United States, England, and Scotland into clubs across many professional divisions in both Sweden and Finland. This June, Walker will attend PSC’s Pro Soccer Combines in New Jersey and Florida – with any of the following three outcomes in mind for players who he deems are showing potential: a recommendation to his contacts in Scandinavia, an invitation to PSC’s European programmes, or an offer to join SFC – a club forming an excellent pathway for PSC players to play in Europe. 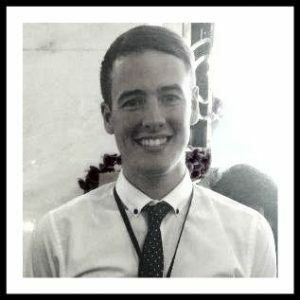 We caught up with Walker to find out more about his newly-formed club, what advice he can offer aspiring professionals, and much more. 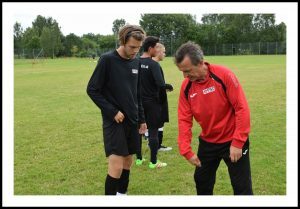 Tricks of the Trade: Walker sharing his knowledge with a PSC Residential Programme player in Sweden. Hi, Patrick. Can you tell us about your club, SFC, and how they integrate with PSC? Scandinavian Football Club Örebro is a unique club in many aspects. Formally known as PARS FC Örebro, we took control of and renamed the club in February 2016. They [the club] had spent a number of years yo-yoing from Sweden’s fourth and fifth divisions. We had discussed the possibilities of the acquisition of a club, and being able to work with players from the PSC network over a longer development period. I also saw it as an opportunity to work closely with Örebro University, where PARS were originally formed. Today, we bring in university scholars from various cities, both in and outside of Sweden, local talent, often from professional or semi-professional clubs, and PSC players, who are seeking an opportunity to develop their game further in Europe. Our first season was very successful, we placed third in the Division 4 league table, the club’s highest-ever league finish, and won the Örebro District Cup. We defeated semi-professional teams on the road to the cup final. Also involved in the competition were Swedish Premier League outfit Örebro SK, who were eliminated by our semi-final opponents and Division 4 league champions, Yxhult. That semi-final contest ended with an emphatic 5-1 victory for us. Our fine opening campaign attracted a number of talented players for the 2017 season, which we have started in fine form. Our aim is to win promotion to Division 3 come the end of the campaign; it’s going to be a tough challenge, but the players have shown good attitude and spirit so far. What are the benefits of playing in Sweden, particularly with SFC? Sweden has a multicultural society and football is an excellent tool in integration. Various nationalities are represented at all levels – from the Swedish Premier League through to the amateur leagues. Language is rarely a problem, as all Swedes enjoy using English as their second language. 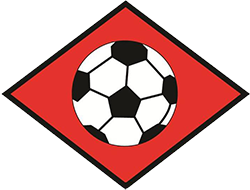 Football is the national sport and the district and national association leagues have both a long tradition and professional structure, allowing for continuous development of the game. SFC is a forward-thinking club with a flexible outlook. This approach allows us to discover other paths of development compared to the normal, traditional clubs. We encourage players to study, and recently had a member of our team graduate as a doctor. During our short history, a number of our players have gone on to play at the professional level. It should be noted that we hold five or six training sessions per week, as opposed to traditional clubs playing at our level, who have two or three sessions per week. We also include sports psychology in our football education program, and each individual develops a personal profile which involves goal setting, self-awareness, planning, and concentration skill training. Prepared: Walker running through some pre-game tactics ahead of a contest against Swedish opposition. You had a terrific playing and coaching career, can you give us a brief summary of the clubs you played and coached with? Currently I am chairman for SFC. I am a UEFA Pro Diploma Level A licensed coach, and graduate of the two-year Sport Psychology Application education programme at Örebro University. I have been a professional player and coach for the last 35 years. My playing career earned me national caps with the Republic of Ireland and I enjoyed successful spells in England, Ireland, Finland and Sweden with teams including Gillingham, BK Hacken, Sundsvall, Bohemians and OTP Oulu. 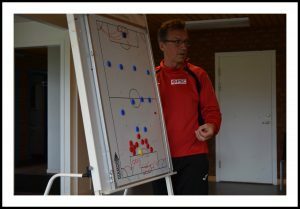 Since 1992 I have been a head coach in Sweden and Norway with top clubs such as Örebro SK, Kalmar, Sandefjord and Sundsvall. I guided Sandefjord to the Adeccoligaen Championship in the 2010 season. What attracted you to work with PSC? After many years both as a player and a manager in top flight professional football, I was encouraged to link up with PSC. 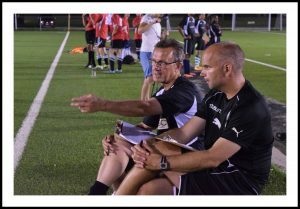 PSC Managing Director, Paul Taylor, used to coach me at Gillingham, and he came to visit me at my clubs on a couple of occasions. We discussed the possibility of me working with the company, and upon meeting the other directors [Tom and Mark Taylor] I was very impressed with PSC. I then participated on the tours and combines and really saw the possibility to help develop the organisation. I became responsible for the network here in Scandinavia and also introduced my home country of Ireland, where we held an excellent Development Tour. We have worked with a lot of clubs here in Sweden, ranging from Örebro SK in Allsvenskan down to Jönköping in Division 4. The great thing here is that there are so many different levels of football, providing many different opportunities for American players. It’s such a pleasure for me to be able to help all the players at all levels in their search to achieve their goals. It’s wonderful to see the energy and love they have for the game every time they step onto the field. Not every individual becomes a pro, but everyone wants to give themselves the chance to become one, so we try very hard to open doors at all levels in order to provide each player with a pathway. I have a great love for the game and appreciate the players trying hard to make their dreams come true. I once had the dream to become a professional footballer so I know the desire they possess, but I also know the amount of hard work it takes to make that dream come true. This side of the game is what I believe PSC is all about and the main reason I enjoy working with the organisation so much. Focused: Walker (left) and Robert Axelsson, Örebro SK Goalkeeper Coach, assessing players during PSC’s Houston Pro Soccer Combine. You have extensive contacts in each of the leagues in Sweden and you are attending PSC’s upcoming events in New Jersey and Florida this summer. What will it take for the attending players impress you? It’s important for a player to function well, both as an individual and as a team player. Self-discipline and good functional techniques are important traits to possess, but overcomplicating the game is not what North European football culture is about. North American players have a reputation of having positive energy, listening to instructions well, learning quickly, possessing a hard-working attitude and communicating very well. I believe these are invaluable traits that attract coaches and clubs to players. On a final note – you recently told us that you took on a personal project to house some of SFC’s players . How is this progressing? We want to create an excellent team bond and the idea of some players living together, we believe, will help achieve that. We also want the players to live close to our training fields, so when they wish to do some extra training they can travel by foot. It’s important that they enjoy life away from football, so we want them in the centre of Örebro. We have, therefore, located the team housing within one mile of the city centre and within one mile of the training fields. Örebro is a fantastic place to live, with many restaurants, shops, and an international university. The team housing will provide a furnished room that will accommodate one or two people. There will be large kitchen facilities, WIFI and a communal living room. Players are expected to live with the respect of other people in mind on a daily basis. – Texas: June 25, 26 and 27.